What do the Clay Haus and Nellie Sheridan have in common? They are both located in Somerset and both appear on this page 🙂 Actually, Nellie would have been very familiar with the building that the Clay Haus is housed in as it was one of the first brick homes erected within the village. 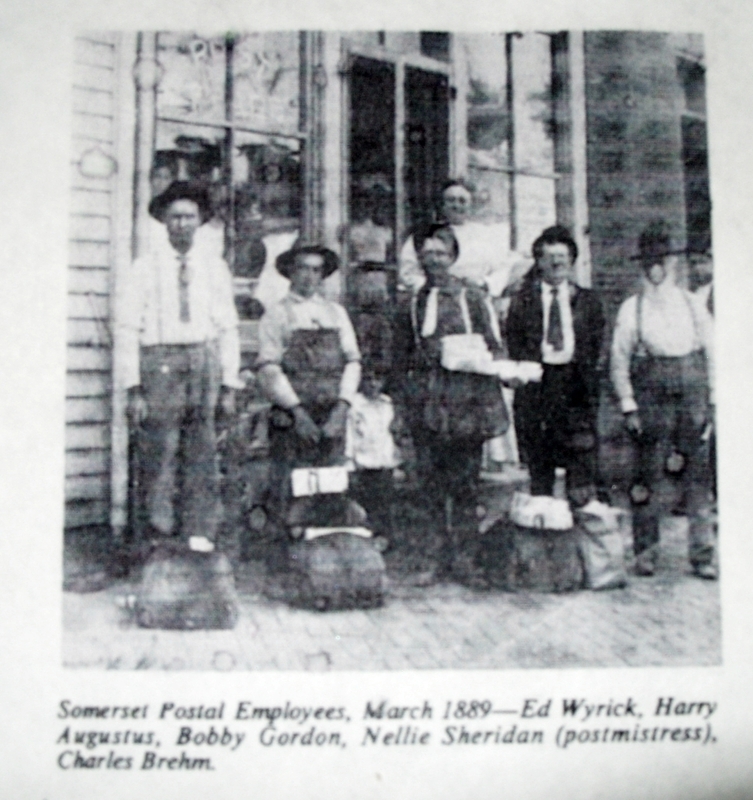 What do Somerset and the Clay Haus have in common? You should visit both! In fact, this fall, the Clay Haus is hosting a special event for the Nellie Sheridan Statue Committee. They are hosting an author who has recently completed a book on Ohio buildings and the paranormal. Before you click off of the page, please note that this author is published via Kent State University and the book contains much historical detail. The book, Ohio’s Historic Haunts: Investigating the Paranormal in the Buckeye State, by James A. Willis, will be available for sale that evening. A dinner will be provided by the haunted Clay Haus. From what I understand, forty pages have been dedicated to the Clay Haus, but I digress.. However, if you are a follower of all things paranormal, you will enjoy the book/lecture. If you are simply a lover of history and enjoy historical architecture, you will enjoy the book! In other words, the book has something for everyone. It will be on sale at the Clay Haus in Somerset. The book would make a wonderful holiday present. Tell Scott you saw the advertisement on this page. It will not save you any money, but its a great conversation starter! 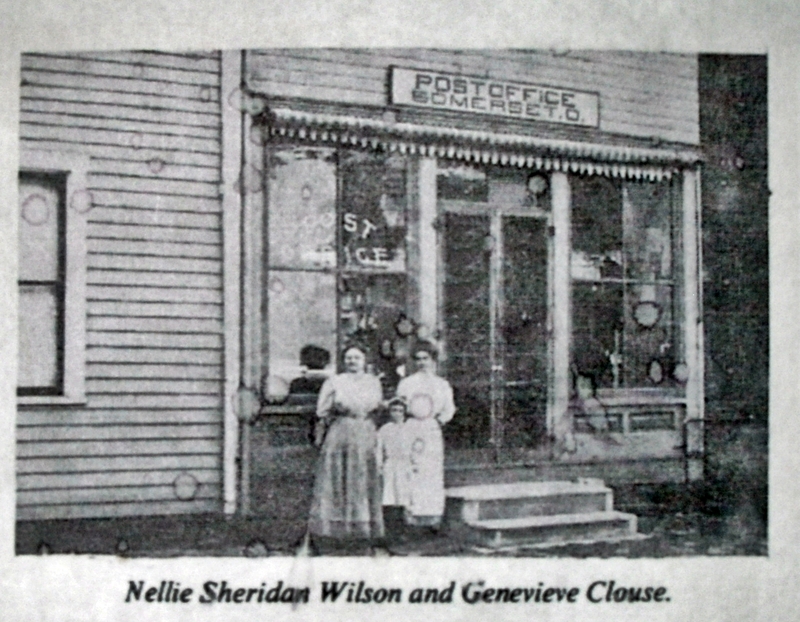 While at the meeting, I received these wonderful photos of Nellie and her post office. I thought that perhaps it would be fitting to share them with all of you as they are wonderful vintage photographs and depict Nellie along with her staff. Often, I have asked for readers to imagine speaking to Nellie within the walls of her nineteenth century post office..now, there is rich imagery. Yay Jackie! Thank you for sharing the photos. I did take the liberty of darkening them a bit and enlarge them, but otherwise, the photos are not enhanced in any way. They even include the water marks, which have stained them years ago..perhaps they were placed in a forgotten attic or barn? One of the greatest things about Perry County is that the history is always changing. As soon as one thinks they have it all figured out, some wonderful discovery surfaces and changes perception. It is grand! Genevieve Clouse, daughter of Albert and Mary Clouse, was born in 1887. She is on the right and looks to be about twenty to twenty-five in the photo. Perhaps the child in the middle is one of Genevieve’s sisters? Helen, the youngest, was born in 1907. This child looks to be about seven. If that be so, this photo was taken circa 1914. If anyone knows the identity of this child, please let me know! We can solve this mystery. The second is a wonderful photo..note Mr. Gordon is in the photo ( he tried to take poor Nellie’s job after her husband died..tsk, tsk) Mr. Brehm, the rather dapper gentleman in the dark suit, may have been the same Brehm that was a business partner of T.C. Wilson. This man, looks like a “Jim Dandy” in his Lou Costello ensemble. Isn’t he precious? Behind the carriers, based on her posture, stands a very proud, nineteen year old Nellie Sheridan. She is standing on the stoop, but she is definitely a tall lady. Let’s not forget that these photos were posed and not happen stance. In order to take a photo during that time period, required a professional photographer and a long waiting time. Note the brick sidewalks, which were undoubtedly crafted from native Perry County Clay.